As an ancient institution, fasting was mentioned already in the Old Testament (Deut 9:18; Is 58:4-10; Joel 2:15; Jonah 3:5-7) and affirmed in the New Testament. The Lord Himself fasted for forty days before commencing His public ministry (Lk 4:1-2) and provided instructions on how to practice fasting (Mt 6:16-18). Fasting is generally prescribed in the New Testament as a means of abstinence, repentance, and spiritual edification (Mk 1:6; Acts 13:2; 14:23; Rom 14:21). Since the apostolic times, the Church has proclaimed the profound importance of fasting and established Wednesday and Friday as days of fasting (Didache 8, 1), as well as the fast before Pascha (Irenaeus of Lyons, as cited in Eusebius, Church History 5, 24. PG 20 497B-508AB). In ecclesiastical practice that has existed for centuries, there has always been diversity with regard not only to the length of the fast before Easter (Dionysius of Alexandria,Letter to Basilides, PG 10, 1277), but also the number and content of other periods of fasting which became customary under the influence of various factors, primarily, of the liturgical and monastic traditions, with a view to proper preparation for the great feasts. Thus, the indissoluble link between fasting and worship indicates the extent and purpose of fasting and reveals its spiritual nature. For this reason, all the faithful are invited to respond accordingly, each to the best of his or her strength and ability, while not allowing such liberty to diminish this holy institution: “See that no one make thee to err from this path of doctrine… If thou art able to bear the whole yoke of the Lord, thou wilt be perfect; but if thou art not able, what thou art able, that do. But concerning meat, bear that which thou art able to do”(Didache 6, 1-3). As a spiritual endeavor, the true fast is inseparable from unceasing prayer and genuine repentance. Repentance without fasting is fruitless (Basil the Great, On Fasting 1, 3. PG 31, 168A), as fasting without merciful deeds is dead, especially nowadays when the unequal and unjust distribution of goods deprives entire nations of their daily bread.“While fasting physically, brethren, let us also fast spiritually. Let us loose every knot of iniquity; let us tear up every unrighteous bond; let us distribute bread to the hungry, and welcome into our homes those who have no roof over their heads…”(Sticheron at Vespers on Wednesday of the First Week of Lent; cf. Is 58:6-7). Fasting cannot be reduced to simple and formal abstinence from certain foods. “So let us not be selfish as we begin the abstinence from foods that is the noble fast. Let us fast in an acceptable manner, one that is pleasing to God. A true fast is one that is set against evil, it is self-control of the tongue. It is the checking of anger, separation from things like lusts, evil-speaking, lies, and false oaths. Self-denial from these things is a true fast, so fasting from these negative things is good” (Basil the Great, On Fasting, 2, 7. PG 31, 196D). Abstinence from certain foods during the fast and temperance, not only with regard to what to eat but also how much to eat, constitutes a visible aspect of this spiritual endeavor. “In the literal sense, fasting is abstinence from food, but food makes us neither more nor less righteous. However, in the spiritual sense, it is clear that, as life comes from food for each of us and the lack of food is a symbol of death, so it is necessary that we fast from worldly things, in order that we might die to the world and after this, having partaken of the divine nourishment, live in God”(Clement of Alexandria, From the Prophetic Eclogae. PG 9, 704D-705A). Therefore, the true fast affects the entire life in Christ of the faithful and is crowned by their participation in divine worship, particularly in the sacrament of the Holy Eucharist. 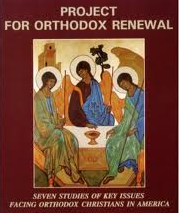 The forty-day fast of the Lord exemplifies fasting for the faithful, initiating their participation in the obedience in the Lord, that through it “we might recover by its observance that which we have lost by not observing it” (Gregory the Theologian,Homily 45, On Holy Pascha, 28. PG 36, 661C). The Christocentric understanding of the spiritual dimension of fasting – in particular the fast of Great Lent – is a general rule in the entire patristic tradition and is characteristically epitomized by St Gregory Palamas:“When you fast like this you not only suffer with Christ and are dead with Him, but you are also risen with Him and reign with Him forever and ever. If through such a fast you have been planted together in the likeness of His death, you shall also share in His resurrection and inherit life in Him” (Homily 13, On the Fifth Sunday of Lent, PG 151, 161AB). It is a fact that many faithful today do not observe all the prescriptions of fasting, whether due to faint-heartedness or their living conditions, whatever these may be. 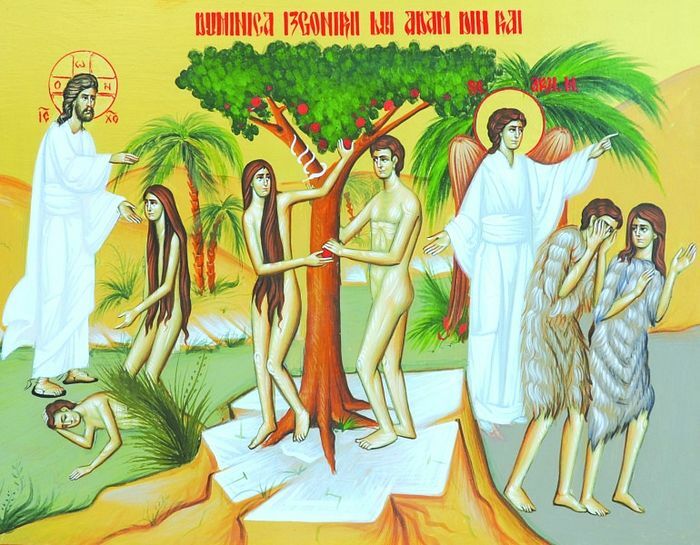 However, all these instances where the sacred prescriptions of fasting are loosened, either in general or in particular instances, should be treated by the Church with pastoral care, “for God has no pleasure in the death of the wicked; but that the wicked turn from his way and live” (Ezek 33:11), without, however, ignoring the value of the fast. Therefore, with regard to those who find it difficult to observe the prevailing guidelines for fasting, whether for personal reasons (illness, military service, conditions of work, etc.) 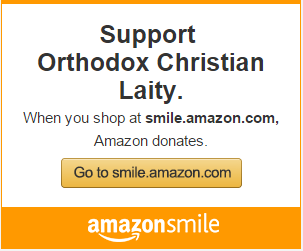 or general reasons (particular existing conditions in certain regions with regard to climate, as well as socioeconomic circumstances, i.e., inability to find lenten foods), it is left to the discretion of the local Orthodox Churches to determine how to exercise philanthropic oikonomia and empathy, relieving in these special cases the “burden” of the holy fast. All this should take place within the aforementioned context and with the objective of not diminishing the importance of the sacred institution of fasting. The Church should extend her philanthropic dispensation with prudence, undoubtedly to a greater extent when it comes to those fasts, on which the ecclesiastical tradition and practice have not always been uniform. “It is good to fast, but may the one who fasts not blame the one who does not fast. In such matters you must neither legislate, nor use force, nor compel the flock entrusted to you; instead, you must use persuasion, gentleness and a word seasoned with salt”(John of Damascus, On the Holy Fasts, Homily 3, PG 95, 68 B).